Here's my first finished quilt! The stitching isn't visible in the photo, but I machine quilted a zig-zag pattern onto each row and I'm really pleased at the way it turned out. The fabrics are from the Arcadia collection from Moda. 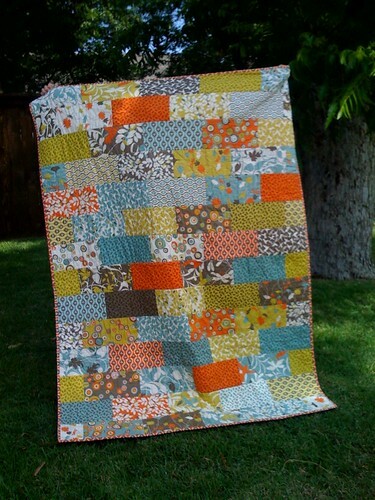 Well done on finishing your first quilt. It's gorgeous - I love it!